The Milwaukee Bucks will be playing their home games in a spanking, new venue this season. But they’ll probably experience the same old results. For the 2014-2015 season, the Bucks had a 41-41 record. They finished sixth in the Eastern Conference. In 2015-2016, the Bucks posted-a 33-49 record. They finished 12th in the East. In the 2016-2017 season, the Bucks went 42-40 and tied Indiana for sixth in the East. Last season, the Bucks were 44-38 and tied Miami for, yes, the sixth place in the East. The Bucks combined four-year record under the Edens, Lasry and Dinan ownership group is 160-168. The other day I reached out to a highly respected, longtime NBA official for his thoughts on the current Bucks, who open their 218-29 season on Wednesday night in Charlotte. I specifically asked him where he projects the Bucks to finish this season. Despite the hiring of a fine head coach in Mike Budenholzer and a solid offseason addition in Ersan Ilysaova, the aforementioned league official contends the Bucks didn’t improve an iota from last season – and may have even taken a step back. “Losing (Jabari) Parker was a loss and not getting anything for him was crazy,’’ the official said. “He was their third best player. I know they (Bucks officials) are saying it was all about fit with Parker, that he didn’t fit in with this team. I don’t buy crap. Parker can fit in with any team. The truth is they wanted to keep him, but I was told he didn’t want them. Parker, 23, signed a two-year contract with the Chicago Bulls during free agency in July. He’s fully guaranteed $20 million in this season with the Bulls having the option to re-sign him in the second year for another $20 million. Mainly because of Parker’s departure and no offseason addition that will move the needle – the NBA official believes the Bucks will once again be a middle-of-the-pack team in the 15-team East. While I agree with the official that the Eastern Conference will be more competitive, it still isn’t a very good conference. The Western Conference remains vastly superior in talent. In fact, you can make a compelling case that Boston would be the only Eastern Conference team that could make the playoffs in the West. As the official noted, Boston is unquestionably the cream of the Eastern Conference crop. Celtics general manager Danny Ainge has done an incredible job of accruing a top-notch talent to go along with a stellar coaching staff. The Celtics have the best starting five in the East and their depth is impressive. They are so deep they could absorb the loss of a key player, or even two, and still vie for a title –just like last season when they were without their two best players – Gordon Hayward and Kyrie Irving – in the playoffs and still reached the Eastern Conference Finals. Conversely, can you imagine where the Bucks would wind up if they lost Giannis Antetokounmpo or Khris Middleton to injury? Can you say lottery. While the aforementioned official projects the Bucks to finish sixth, another Eastern Conference official, with more than two decades of NBA experience on his resume, has the Bucks finishing slightly better. “To me, it’s Boston, Toronto and Philly,’’ the official said. “Then, I got Indiana and Milwaukee, with Washington, Miami and Detroit getting the remaining playoff spots. 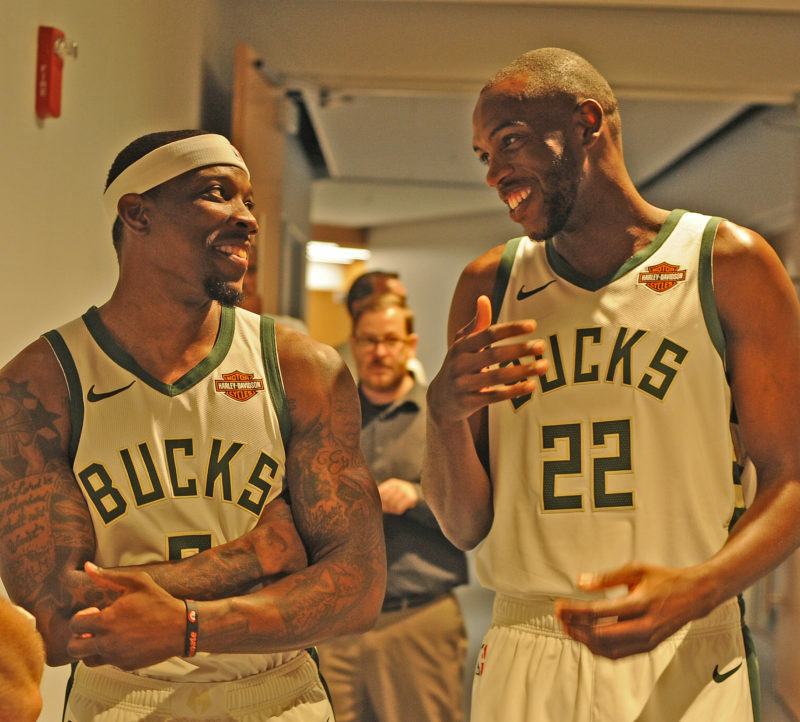 “When I break down Milwaukee’s roster, I see (Eric) Bledsoe as being an OK player, Middleton being a good player and, obviously, Giannis is a very good player. Time will tell as teams will inevitably tweak their rosters between now and the trading deadline in February. The Bucks are almost a lock to be one of them. 1-. Boston – The Celtics are just strong across the board. They’ll be very good this season and for years to come. Washington – Superstar guard John Wall was limited to only 41 games last season but now appears fully healthy. The Wizards also acquired Dwight Howard, an upgrade over Marcin Gortat, and combo guard Austin Rivers, who had a breakthrough season for the Clippers last season. Philadelphia – It’s pretty simple: If gifted youngsters Joel Embiid and Ben Simmons can avoid the injury bug, the Sixers are in business. Veteran wing player Chandler Wilson could be a huge addition. Toronto –Yes, the Raptors acquired one of the game’s elite players in Kawhi Leonard but they also lost one of the league’s elite scorers in DeMar DeRozan. New coach Nick Nurse will be under the microscope as well. 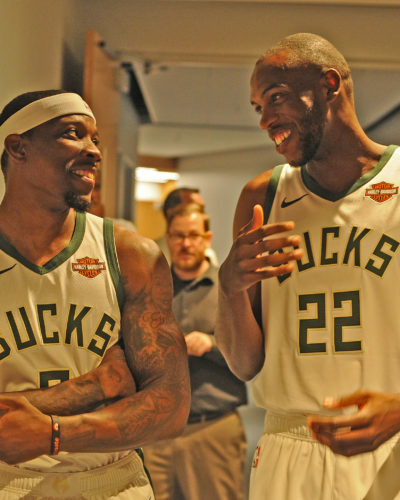 Milwaukee – In case you didn’t notice, with Parker playing major minutes, the Bucks won three of the last five games against the Celtics in the playoffs last season. If the Bucks had retained Parker, I’d be penciling them in for the Eastern Conference Finals – a place they haven’t been in since 2001. Indiana – Victor Oladipo emerged as a bona-fide star last season, young big man Myles Turner is one of the best rim protectors in the league and offseason acquisition Tyreke Evans will provide some much-needed scoring punch. 7, Miami – It’ll be Dwyane Wade’s farewell tour, and talented but enigmatic center Hassan Whiteside could make it a fun one if he stays focused. 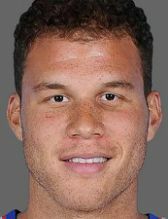 Detroit – Blake Griffin (whom the Bucks showed interest in acquiring from the Clippers last season before he wound up in Detroit) and Andre Drummond are unequivocally beasts around the basket and, if point guard Reggie Jackson can stay out of the trainers’ room (he’s missed 67 games the last two seasons), the Pistons could make some noise. LOTTERY BOUND: Chicago, Charlotte, Atlanta, Orlando, Cleveland, New York and Brooklyn. Golden State – Only complacency will prevent the Warriors from three-peating and winning their fourth NBA title in the last five years. San Antonio – Kawhi Leonard played a mere nine games last season and the Spurs still won 47 games, a true testament to Gregg Popovich’s coaching greatness. Houston –Will Carmelo Anthony be an asset or liability? And who’ll play defense with the exodus of Luc Mbah a Moute and Trevor Ariza? Oklahoma City –Any team that features Russell Westbrook and Paul George has to be taken seriously. Adding talented guard Dennis Schroder to the mix was a coup. Utah – The Jazz have exquisite team chemistry and would be legit title contenders in the East, but they will need everything to fall in place to crack the top four in the ridiculously talent-rich West. 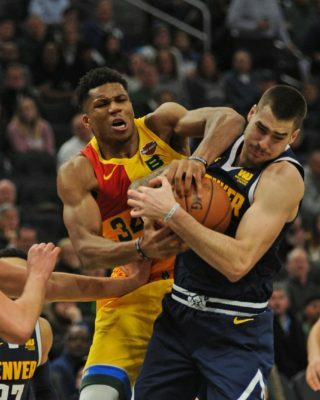 Denver – The Nuggets have a glut of really good young players – Nikola Jokic, Jamal Murray, Gary Harris, etc. — and will be heard from for years to come. Minnesota – The T-Wolves are a house divided but, even if they dump disgruntled Jimmy Butler, they still have too many quality players and a great coach not to be in the playoff hunt. L.A. Lakers – Yes, the Lakers have LeBron but they have precious little blue-chip talent around him. LOTTERY BOUND: Portland, New Orleans, Los Angeles Clippers, Phoenix, Dallas, Memphis and Sacramento.